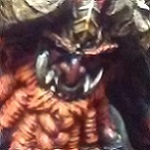 Zanko Presents: The 12th Scribe's Contest writing competition on Chaos Dwarfs Online! ”In faraway realms of mortals and magical worlds, tales tell of malevolent mariners steaming upon the Sea of Drowned Sorrows, striking out from a monstrous city of industry that stands artificially out in the middle of the ocean: The infernal Zharr Vyxa, where twisted Duardin siphons the raw energy of death from within dark waters. The theme for this writing competition is seafaring, piracy, naval action, coastal raids, shipwrecks, divers, shipyards and everything pertaining to Chaos Dwarfs and the ocean! This is an open format theme, meaning that almost any type of background text and fiction about Dawi Zharr seafaring will be accepted. Your entry could consist of a mysterious traveller's tale in an inn or under an open night sky; Kurgan legends; a conversation with a Daemon; heretical writings or a secret trial against a blasphemer; or something else entirely. Note that this contest is a celebration of our glimpse of Zharr Vyxa in Age of Sigmar, courtesy of Thommy H's unceasing lookout in the mast. Yet like other contests that are based upon a Chaos Dwarf phenomenon in a particular setting, you can enter writings set in whatever worlds you fancy, including the Old World. The word limit for each entry is 10-400 words in total. Since this is an open format theme, you may write your entry as one or more quotes, proverbs, tales, songs, stories etc. Descriptive background texts about the being of (of the kind you may find in any army book) and fiction from the perspective of one or more characters (of the kind you may find in any Black Library novel) are allowed. Entries from any setting featuring evil Dwarrows are of course welcome! All entries are to be written "in-universe", meaning no lines about D6s or green stuff are allowed. See the General Rules. You are encouraged to ask Admiral about whether your entry meet the requirements or not, should you be unsure. Please spellcheck your entry before submission. Even so, to help even the field for the non-native English speakers, Admiral may correct grammar and spelling mistakes within the limits of his grasp of the English language. Please read the full rules and guidelines that apply to the Scribe's Contest competition before submitting your entry! If for some reason you are having trouble with your submission, contact one of the Staff before the deadline. In order to avoid problems, we strongly advise entrants not to wait until the very last minute to submit their entries... As things can and do go wrong at the last minute. Please do not send entries to individual Admin or Staff members to submit on your behalf as they may not check their PMs! 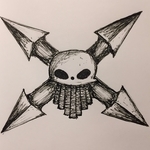 Write one or more pieces of fiction or background about Chaos Dwarfs following the subject theme, invented by you, and send a PM to Scribe (a special user that all Staff have access to) containing the entry. The moderator organizing the contest will then check the inbox one or a few days before deadline and verify to each entrant that their submission was received. - Take your place in the upcoming Scribe's Contest Hall of Fame (soon to be created! ), where your glory will be remembered for years to come. - Everyone who enters gets a number of slaves equal to the number of entries. If 40 people enter we award 40 slaves to each person who entered. 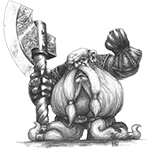 - If you win Gold, you'll win a dungeon clutter model prize, courtesy of Zealot Wargames. Entries will count towards a participation medal, which is the simpler Scribe's Contest equivalent of Artisan's Contest and Golden Hat veteran medals. As usual once all entries are received a voting thread will be created. If there are any questions please PM me, another Staff member or post them here. Subject Matter: On Dark Tides (Chaos Dwarfs and the sea). If any forum members would like to aid Scribe's Contest by donating models or other materials as prizes for future competitions, feel free to contact myself or one of the Staff to help sort out details. Now, carve your tablet. 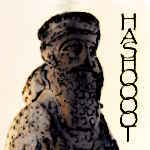 Sharpen your pen and dip it in fresh slave blood, for Hashut demands words! This post was last modified: 04-13-2019 02:02 AM by Admiral. Really looking forward to readind all the entries, I'll definitely partake. This sounds fun, time to get planning. Love The Theme. Can't wait to read all the other entries. Interesting theme! Looking forward to everyone's entries! So, in the initial post, the summary gives a different deadline than the text above - I assume, the earlier date is correct? June. I'd be lucky to write a title by the 26th of April. Haha! I usually mess up numbers before text. There I was checking the draft. Date correct? And nodded confidently. Yep, 26th of April in both places. And missed July in the summary. Corrected, sorry about that. These competitions are largely run on copy-paste so as to be easy to handle even when very busy. This post was last modified: 04-13-2019 02:11 AM by Admiral. Hah, this is really fun! I'm pretty much set about what happens, just not how I'm about to tell it Tricky! Survivor's report? Maybe. Possibly. Ah, we'll see. This post was last modified: 04-15-2019 09:18 AM by Jasko. I am reliably informed by Igor that the orc skin vellum has been dispatched. Soon my literary skills will be recognised. I just hope it is not intercepted by pirates. The irony would be too much to bear. You also write on Orc skin? It's sturdy and stands the test of time! And give a pleasant green hue to the vellum. 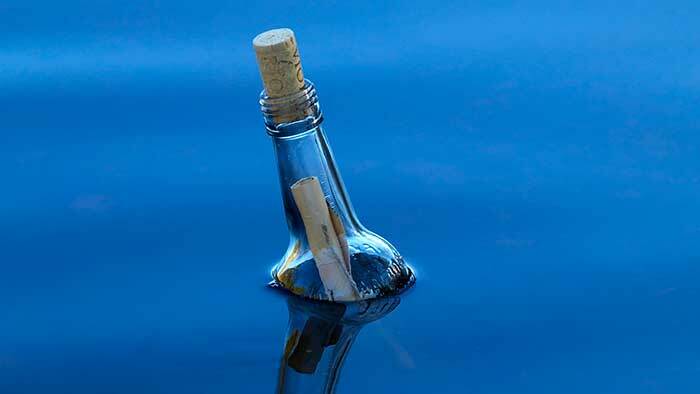 I'll send in my writings in a floating bottle. Ship ahoy! As I was laying down and starting to fall asleep last night, out of nowhere a vague idea for a story came to me. Which then kept me awake for much too long, as I ran different versions of it inside my head. And the sleepier I became, the more odd and twisted the story became. I wonder if this is how Uther the Unhinged comes up with his wonderfully twisted and creative models? @Fuggit: Yep, that is pretty much how. Though the cheese helps..... and the mushrooms....... and .... wait this is public forum! I knew it! And I bet you have Igor Igorspawn at high alert awake throughout all the night, ready to pen down the slightest uttering of his master. The sleeplessness of Igor only adding to the unhinged daytime interpretations of those grand visions. This post was last modified: Yesterday 04:44 AM by Admiral.